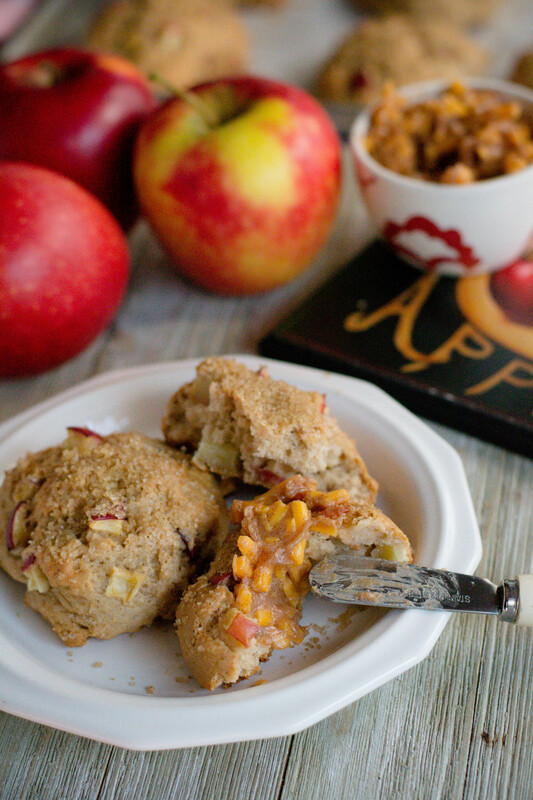 Apple Pie Biscuits - What the Forks for Dinner? 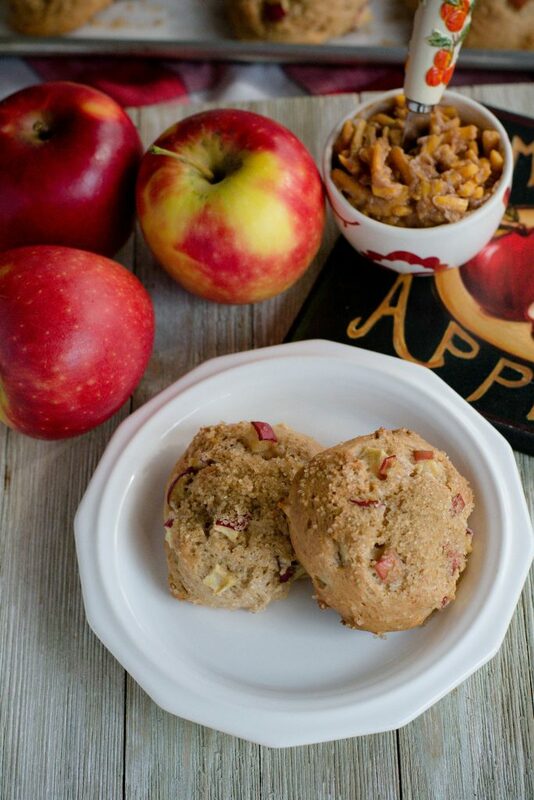 Apple season is in full swing. 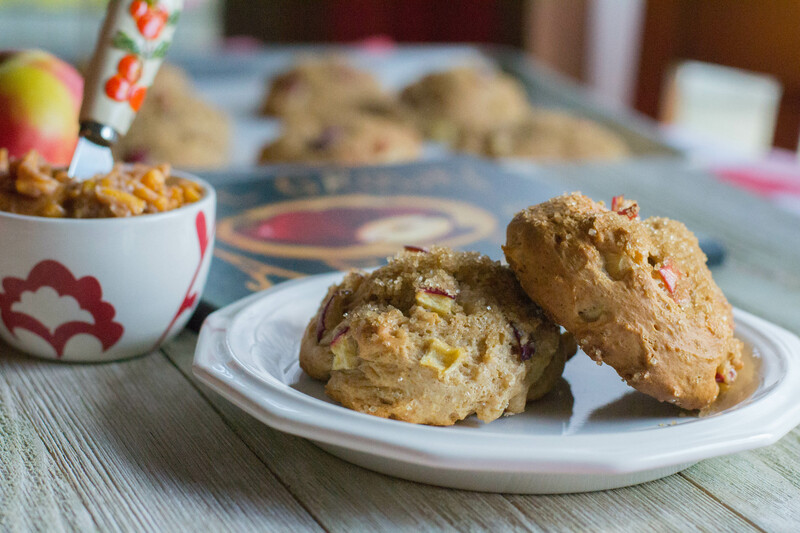 Use those glorious gems for some Apple Pie Biscuits. 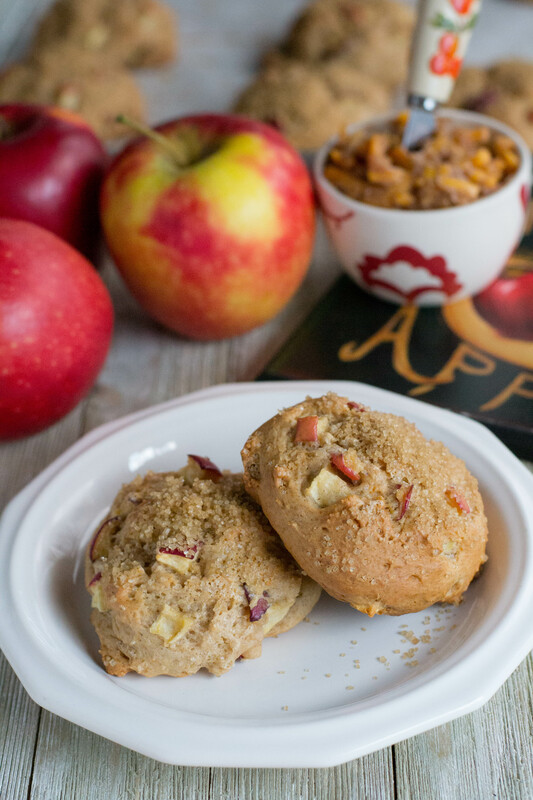 Tender and sweet, full of fresh apples, topped with a crunchy sugar topping. I hesitated to call these Apple Pie Biscuits because…well nothing tastes as good as a hot from the oven apple pie…..but these are close! If I had to chose a fruit it would always be an apple. Tons of choices from tart to sweet, crunchy to tender, red or green. With new varieties always being introduced your choices are endless. My current favorite is Honey Crisp explosive juiciness and smack-you-over-the-head sweetness make this my apple of choice. The price may be prohibitive to some, but after one bite…..it won’t matter. 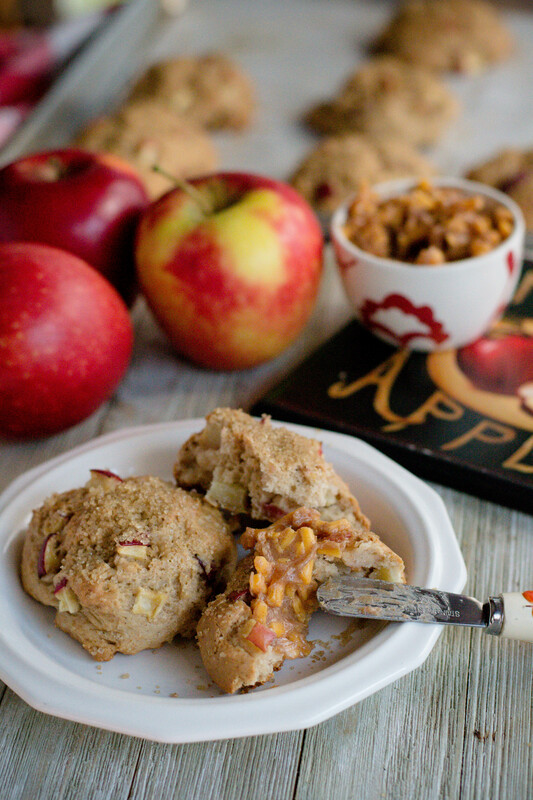 I used Honey Crisp in this recipe but chose your favorite apple. Have you tried Yoplaits new yogurt Oui? Words cannot say how much I enjoy this yogurt. Some great things about it….super creamy, thick, not over powering sweet. It’s made from whole milk and non GMO ingredients. Besides, it comes in the cutest little glass jars that are completely reusable. I have some great ideas for them…..I have quite a collection. Since it was so delicious straight out of the jar, I figured it would work great in baking…….I was correct. It gave the biscuits a super tender texture, and since I used the vanilla flavor, just a hint of vanilla. The biscuit whipped together in about 10 minutes and baked for about 35 minutes. Before baking, I gave them a heavy sprinkle of Turbinado sugar for a crunchy sugary topping. Biscuits need butter and in the tradition that some folks like to have cheddar cheese on apple pie, I made Cheddar Honey Butter. Room temperature butter, cheddar cheese, honey and a touch of cinnamon. 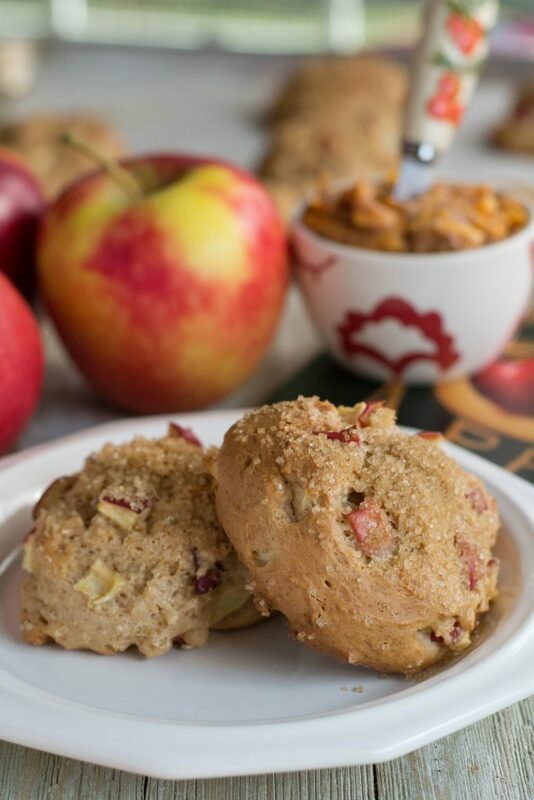 Perfect to slather on Apple Pie Biscuits. 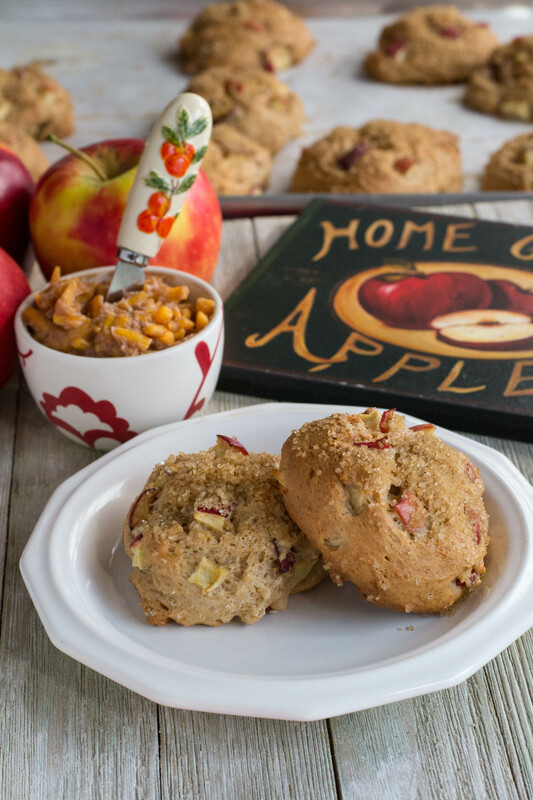 So go pick your self a bushel of apples and give these biscuits a try!! In a large bowl combine yogurt, egg, both sugars, vanilla, and cinnamon: mix well. Add flour and baking powder and mix. Fold in chopped apples. Using an ice cream scoop , scoop batter onto a parchment paper lined baking sheet. Sprinkle biscuits with turbinado sugar.